The graph indicates the top 10 countries of birth for new arrivals into the Shire of Yarra Ranges. The category ‘Other’ consists of all remaining countries of birth after the top 10. A total of 163 individuals settled in the Shire of Yarra Ranges between July 2017 – June 2018. This is a decrease of 6% compared to the previous year when 173 individuals settled in the Shire of Yarra Ranges. 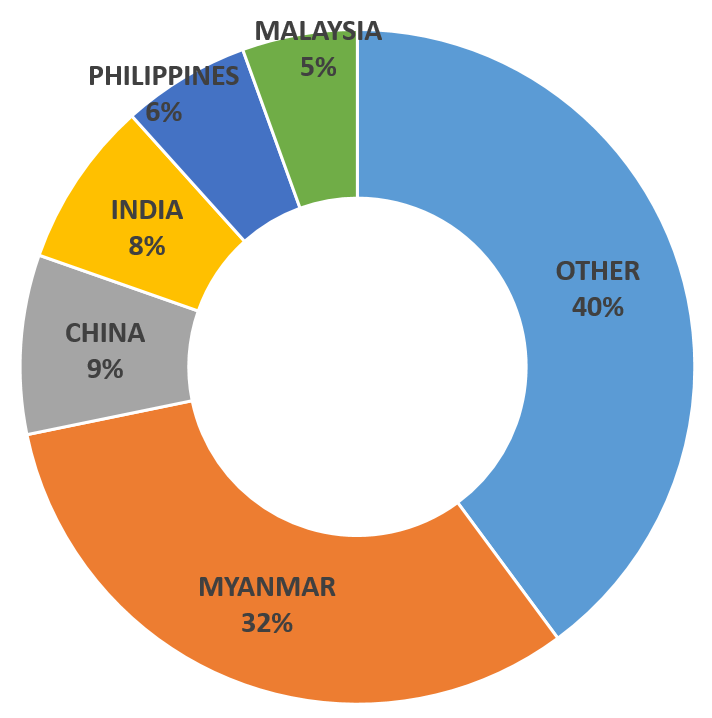 The top 5 Countries of Birth for people settling in the Shire of Yarra Ranges was Myanmar 32% (52), China 9% (14), India 8% (13), Philippines 6% (10) and Malaysia 6% (9). ‘Other’ consists of 26 countries with <5 settlers. 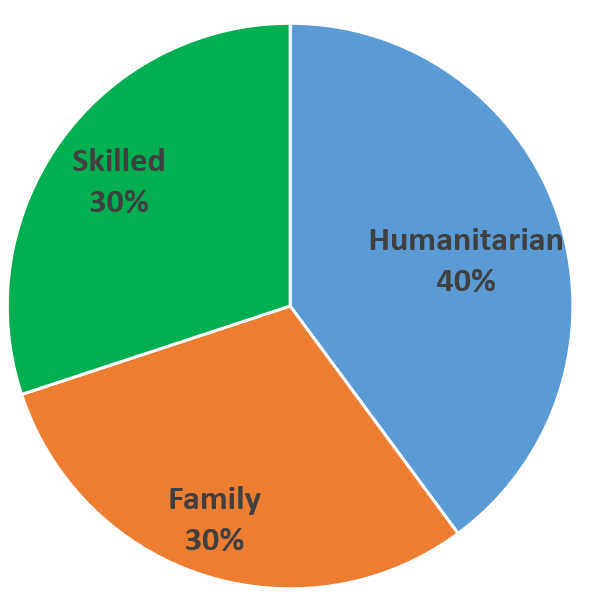 Humanitarian entrants made up the highest number of arrivals within the Shire of Yarra Ranges followed Family Stream and Skilled Migrants. The number of people arriving on a Humanitarian Visa has increased by 59% from July 2016-June 2017 which was 41 individuals to 65 in July 2017-June 2018. The number of people arriving on a Family Stream Visa has decreased by 38% from July 2016-June 2017 which was 79 individuals to 49 in July 2017-June 2018. 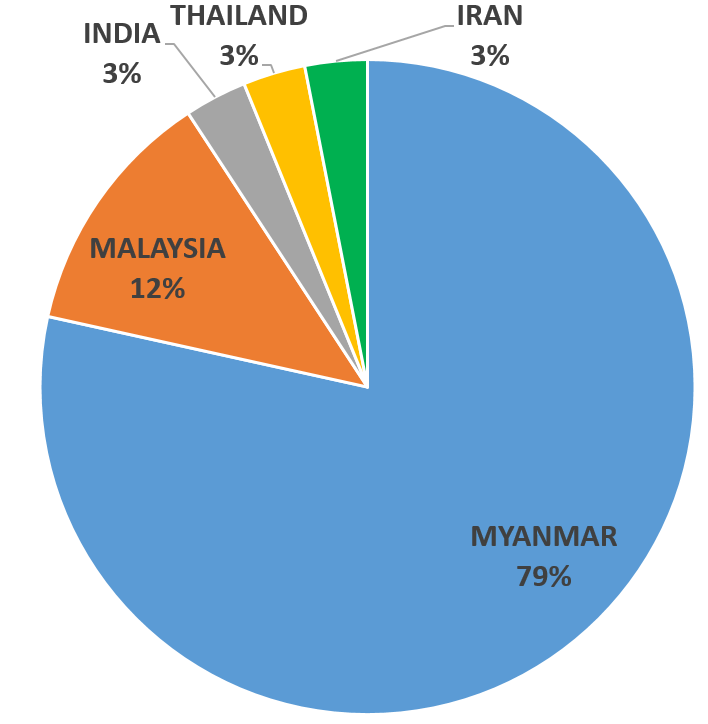 The top countries of birth for individuals arriving on a Humanitarian visa were Myanmar 79% (51), Malaysia 12% (8), India 3% (<5), Thailand 3% (<5) and Iran 3% (<5). Countries listed as <5 have been counted as 2. For privacy reasons the accurate figure is not disclosed. In the Shire of Yarra Ranges 49 individuals arrived on a Family Stream Visa between July 2017 – June 2018. 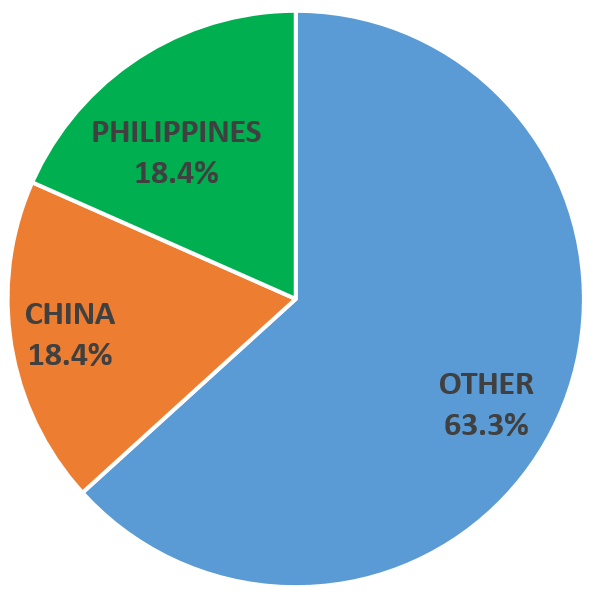 The top countries of birth for individuals arriving on a Family Stream Visa were China 18.4% (9) and Philippines 18.4% (9). 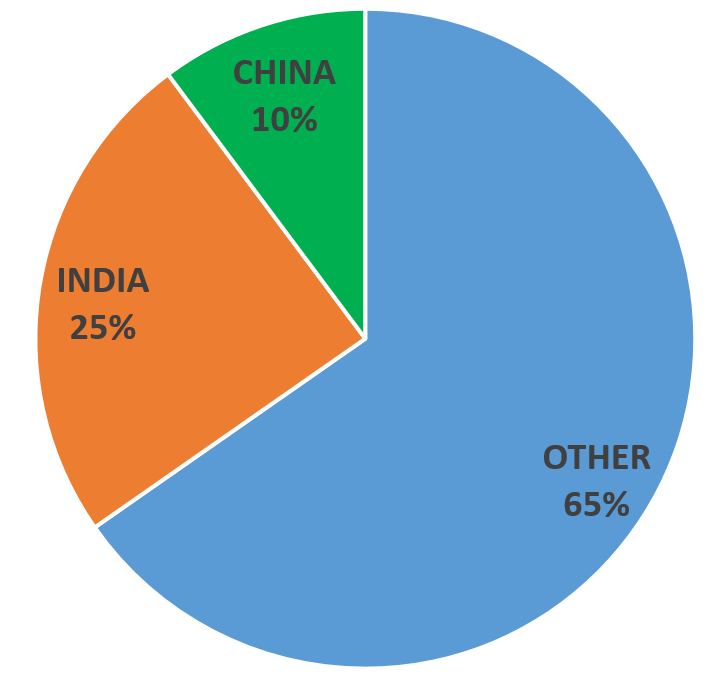 The top countries of birth for individuals arriving on a Skilled Visa were India 25% (12) and China 10% (5). ‘Other’ consists of 13 countries with < 5 settlers. Instances where there have been < 5 settlers have been counted as 1. For privacy reasons the accurate figure is not disclosed. ‘Other’ consists of 26 countries with < 5 settlers.